The fiber optic connector is one of the most basic components in optical fiber communications system. The earliest few types including FC connector, SC connector and MU connector were developed by NTT in Japan and the Germany designed DIN 47256 type. In order to reduce footprint, Bell Labs developed the LC fiber connector with a small volume to save space. With rapid advances in fiber optic technology over the past decades, these fiber optic connectors have gained widespread popularity in the world. We also employ a third-party specialist to inspect and verify the quality of our components to be used in the production of our fiber optic connectors. Assessments show that our raw material is compliant with related Chinese standard and ROHS standard. 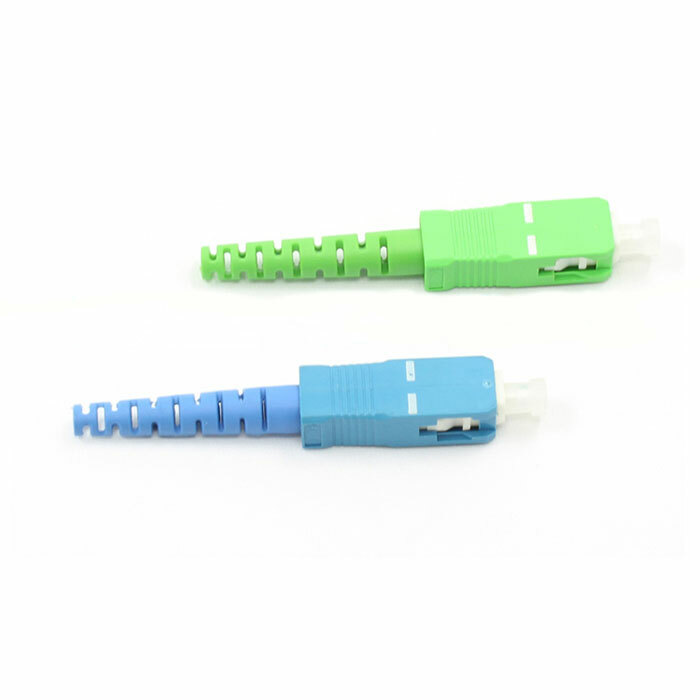 Of course our optic fiber connector can be specially made to meet customer specific requirements. 3. Ceramic, metal and plastic ferrules are available. 4. Different models offer various kinds of tail sleeves and colors. 5. SC and LC type optical fiber connectors can be equipped with a tail sleeve bent at 45 or 90 degrees. 6. Mechanical properties of SC/FC connector meet standards of IEC 874-7 and CECC 86115-80. 7. Mechanical properties of SC type conform to EN 50173 and EIA-568-A standards. 8. 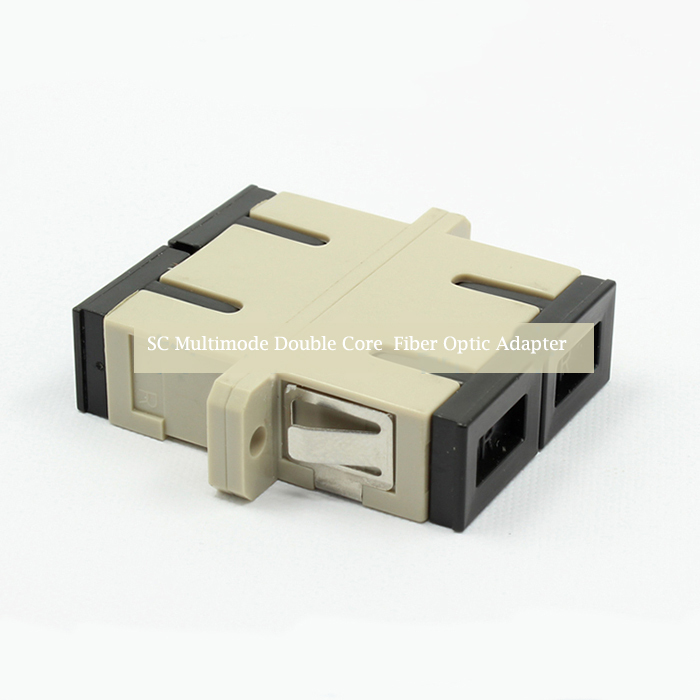 ST fiber connector is compliant with IEC 874-10, CECC BFOC/2.5 and AT&T-STII standards. 9. Mechanical properties of LC fiber optic connector complies with IEC 11801, EIA 568A and FOCIS10 standards. 10. Mechanical properties of MU connector are in accordance with IEC 61754-6 and JIS C5983 standards. 1. Through curing and grinding processes, the fiber optic connector, along with various fibers, can be made into different kinds of patch cords and pigtails. Design and test of all the fiber optic connectors conform to many standards including IEC 60874-7, CECC 86115-801, Bellcore/Telcordia GR-326, EIA/TIA 604-3A, EIA/TIA 568, ISO/IEC 11801 2nd Ed., EN 50173, JIS C5973 F04, ICEA-596, IEC60793-2-10 A1a, ITU-T G.651 or IEC60793-2-10 A1b or ITU-T G.652 ( based on fiber type), Belcore/Telcordia GR-409-CORE, IEC 793, IEC 794-1-E1, IEC 794-1-E3, UL1666/901 (UL-cable) and EIA/TIA455. Connector kit and components for fiber optic connectors are all available.